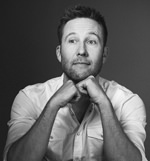 For years, fans got to enjoy Michael Rosenbaum as Lex Luthor, butting heads with Clark Kent on The WB’s classic series Smallville. And seven years after the show has gone off the air, it seems like he’s ready to return to the diabolical genius. Responding to the reports of Henry Cavill potentially leaving the role of Superman in future cinematic appearances, Rosenbaum made a humorously tongue-in-cheek comment. Rosenbaum took a shot at the current actor with the mantle of Lex, as Jesse Eisenberg has already played the character in Batman v Superman: Dawn of Justice and Justice League. But after the poor reception and box office performances of those movies, it remains to be seen if there are plans for Eisenberg to reprise the role. There might be an opening for Rosenbaum, especially with the launch of the new streaming service DC Universe. 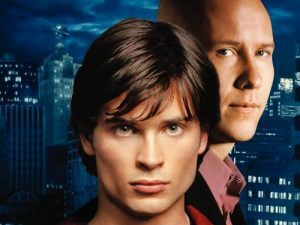 That platform will be home to original content as well as past shows and films, and many fans are requesting Smallville to be added to the service. There’s also the possibility that Smallville could be revived as an animated series with the original cast, picking up where the show left off as Clark Kent embraced his destiny as Superman. Without the limits of a TV budget, the animated series could do what the original series could not in terms of full scale superhero battles fitting for the Man of Steel. Rosenbaum and Clark actor Tom Welling reignited fan requests a few months ago when they mentioned the possibility of the animated series at AwesomeCon. “I mean, animated could be fun,” Welling said. ComicBook.com later caught up with Kristen Kreuk, who played Lana Lang on Smallville, who seemed up to task when asked about an animated series.